London-based hard rockers KILLIT return with their latest single ‘Love Is the Chemical’, which boasts incredibly punchy riffs, soaring guitars and crushing grooves. “‘Love Is The Chemical’ is the secnd song we recorded with the current line up, with Ben on bass and myself on guitar. In my opinion, it’s probably our most radio-friendly song to date. For that reason, I enjoy playing it live a lot as it usually gets the crowd to sing along with the chorus, and that’s amazing! The lyrical content is about a search for unity and love in a dark and violent world, as it’s very easy to un-see it as we go through life. It’s an encouragement to carry on despite all the difficulties one can meet,” explains guitarist Claire Genoud. London rockers KILLIT have been bringing their brand of modern edged classic rock to the UK and have played at the likes of Ramblin’ Man Fair, Hard Rock Hell, Giants Of Rock, Isle Of Wight Festival, O2 Academy, Electric Ballroom, Stone Free festival alongside acts such as Megadeth and Scorpions, as well as playing sell out shows at London’s Underworld. 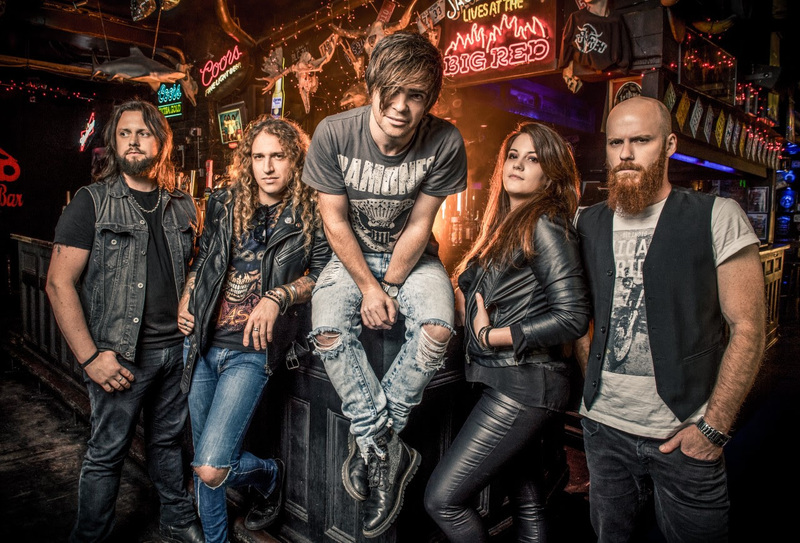 A recent tour with NWOBHL legends Diamond Head introduced the band to a new wave of fans; last month also saw them support Skid Row where they showcased material from the upcoming album. Formed in late 2015, KILLIT released their debut album “Shut It Down” in 2016 which was well received by critics all around the world. The success of their release saw them undertaking many live shows across the UK off the back of the release which continued into 2017. The band later went onto release a new single ‘Waiting For The Day’ last year, which then pushed them forwards with a new series of live performances supporting larger touring acts.